Unexpected. That is what I would consider this book. I was a bit leery going into this book. I wasn't sure what to think of the first 30 pages - it wasn't at all what I expected and I was doubtful that I would enjoy the book. Though Ren is not the most likeable character (she is a bit rough around the edges), I found myself involved in her life and wanting things to turn out well for her. 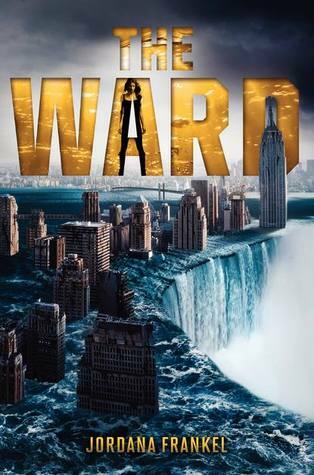 The Ward is the kind of story where the character has one trial after another and nothing seems to go write and it builds and builds into a climactic ending. That is exactly how this story was. The romance in this book wasn't sudden- it was slow building and not exactly... clear. I don't want to give too much away, but there are a lot of complications in this romance. It frustrated me a little, but mostly made me want the second book. I really don't know what to share about this book, there are so many twists and turns, I feel like sharing would spoil the book, and I don't want to do that. This was an action filled book and one that I really did enjoy. Dystopian fans will enjoy this fresh storyline, and eager for the second book to fill the lack of story building in this first book.